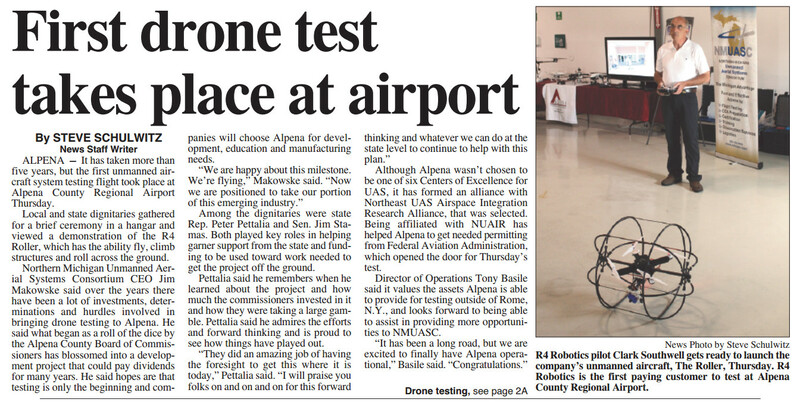 The R4 Large Roller was demonstrated during a test flight at the Alpena County Regional Airport. 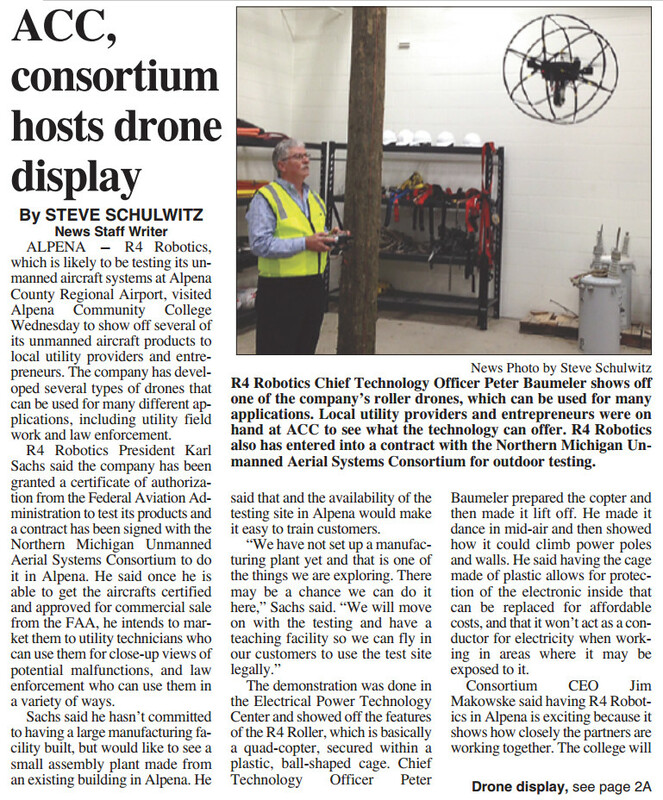 Through it’s alliance with NUAIR, we were able to condust test flights with the proper permits as required by the FAA, via the Northern Michigan Unmanned Aerial Systems Consortium. 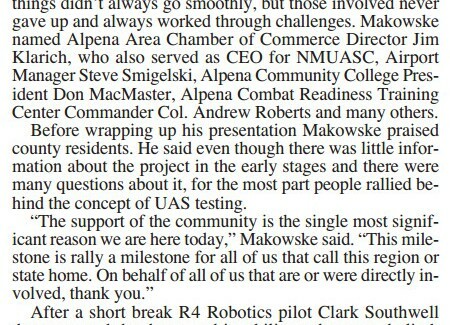 In attendance were industry professionals, NMUASC members, State Representatives, Senators and the Alpena News, which provided coverage of the event (as seen in the attached images).